Save the date! Love. Live. Give. is May 10, 2019! As many of you already know, on Saturday, March 15, 2014, Libby experienced a traumatic car accident which left her with a C5, C6 spinal cord injury. That same night, she was airlifted to Thomas Jefferson University Hospital in Philadelphia where the doctors performed two surgeries: posterior and anterior fusions of C5 & C6 vertebrae. Both surgeries were successful in stabilizing her spine to prevent any further injury. Due to the location of her injury, Libby was paralyzed from the chest down, with some movement in her shoulders, biceps, triceps and wrists only. Libby’s recovery involved a rigorous course of acute therapy at Magee Rehabilitation Hospital, also in Philadelphia. It was a long road for Libby, however, with the love and support of family and friends, and with the grace of God, we knew it would not be a road traveled alone. Even with insurance, Libby has had many uninsured injury-related expenses such as: co-pays and deductibles, additional therapy, monthly medical supplies, caregiver expenses, home modifications and modified transportation to allow her access to her community, along with durable equipment — just to name a few. The CDC estimates that an individual living with a spinal cord injury will have between $500,000 and $3 million dollars in lifetime out-of-pocket expenses. 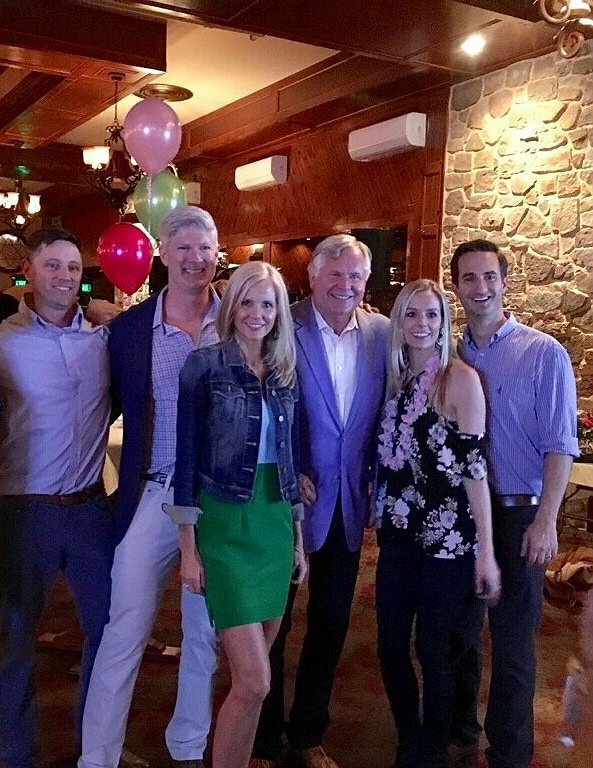 To help offset such expenses, a fundraising campaign in Libby’s honor was established with HelpHOPELive, a trusted nonprofit organization that has been providing community-based fundraising guidance to patients and their families for more than 30 years. All donations are tax-deductible, are held by HelpHOPELive, are held by HelpHOPELive in the Mid-Atlantic Spinal Cord Injury Fund, and are administered by HelpHOPELive for injury-related expenses only. If you would like to make a contribution please click on the DONATE NOW button. Thank you for your love, support, prayers and generosity during this time. anniversary card! Some things will never change though as Libby still seeks the humor in situations. were many ups and downs. her wheelchair in the midst of all of the excitement! is able to be a part of them. appreciates all of their love and support. through these medical challenges and setbacks. at TJUH for six days receiving treatment. that she will be on the sidelines of her grandsons’ little league baseball field on Opening Day! May 10, 2019! Save the date! We’ve just announced the date for our 6th Annual Love. Live. Give. fundraiser: Friday, May 10. Please keep an eye on your inbox for details on registration, bidding, and more. If you’d like to contribute ahead of the event, please feel free to click the big gold Give button right on this page. Donations are tax deductible and fully accountable. The time is quickly approaching for our fifth annual Love.Live.Give. event. This past year we are happy to report that Libby had no major life-threatening illnesses and has stayed out of hospitals! Hooray! After last year’s setbacks she was able to do PT at Bryn Mawr Rehabilitation, which is only a stone’s throw away from her home. Once or twice a week she continues to go to Fighting Back. It is a wonderful organization started over twenty years ago by Scott Dillman to initially provide rehab and strengthening to wounded veterans. Everyone has New Year’s resolutions. After watching the Winter Olympics, Libby is pondering which event she will participate in for the 2022 games. As part of her training she is “riding “her stim bike three times a week. Are there Senior categories? Don’t tell her that there are not. Exciting news is that in March, Libby is scheduled to have a long-awaited hand surgery. It will give her use of a thumb and index finger, improving her hand function significantly. The highlight of 2017 for Joe and Libby was the birth of their granddaughter, Charlotte Mary (aka Charley). She is the only princess among five princes. The second highlight was the addition of another female- Zoey. She is now Libby’s nine-month-old, 60-pound, English Cream Golden Retriever, who thinks she’s a lap dog! April 27th is just around the corner. We hope you will join us for this fundraising event to help with the high annual costs of her care and ongoing rehabilitation. Her achievements (improvements?) would not have been possible if it were not for generosity. The majority of the funds go to help defray the huge amount paid for round the clock people to assist her. We promise a night of friendship, renewed friendships, delicious food, spirits, music and dancing. Look for many auction items, including vacation destinations. Now is such a dreary time of year, why not let yourself dream of a warm location for a respite! We look forward to seeing many of you on this special night and thank you for supporting Libby in past years. It’s hard to believe it’s been over a year since Libby’s car accident on March 15th, 2014, which resulted in a C5, C6 spinal cord injury. Due to the location of her injury, Libby is paralyzed from the chest down, with some movement in her shoulders, biceps, triceps and wrists only. She has limited movement of her hands with no movement in her fingers. We want to thank you for your love, support and generosity. It’s not only helped Libby, but the entire family, get through what was without question the hardest year of our lives. We are very blessed to have such a large and caring community. Thank you again. The past year+ has been extremely trying for Libby, which included 9 surgeries and 4 different places that became her temporary “home”, one if which (Magee) she broke a record for being the longest tenured patient in history (hey, we’ll take a win where we can get one!). Libby had to deal with both physical and emotion tragedy, many moments of despair and hopelessness, obstacles, setbacks, frustratingly slow progress, and she did so with grace, a ton of courage, a sense of humor, and amazing support from family and friends. Again, we say thank you. About 1 month ago, she was fortunate enough to be able to move back home (although very different) to a beautiful addition equipped with modifications to help her adapt to her needs and whole new way of living with her spinal cord injury. She is happy to be home, and still adjusting to it all. Libby has full time nursing care at home and goes to therapy 3x a week. This is all only possible because of the generation donations that have been made by so many over the past year. Even with insurance, Libby will have many uninsured injury-related expenses such as: co-pays and deductibles, additional therapy, monthly medical supplies, caregiver expenses, home modifications and modified transportation to allow her access to her community, just to name a few. The CDC estimates that an individual living with a spinal cord injury will have between $500,000 and $3 million dollars in lifetime out-of-pocket expenses. It’s been a while since the last update, and you’re hungry for news of Libby’s progress. But first, let’s talk about the exciting fundraiser currently underway from September 11-14. It’s the $50,000 Waynesborough Invitational Tennis Tournament featuring touring pros, and is presented by The Graham Group, who is providing the prize money. Thanks to their generosity and other corporate and individual sponsors, this event at Waynesborough Country Club in Paoli, PA is open to the public and free of charge. Play begins Thursday through Saturday at 5 PM with the finals on Sunday. Of special note and interest, Magee Rehab Hospital will have a Wheelchair Exhibition on Saturday 9/13 from 4-5. Please come out for this big social event and enjoy the excitement of these high level players competing. A very grateful and huge THANK YOU to all who poured time, talent, money and energy into this event, proceeds of which will be administered through HelpHOPELive. Libby feels terribly disappointed that she can’t be at Waynesborough for this benefit, and to see and greet old friends and thank her well-wishers. She’s still at Magee having just received word that after 5 1/2 months, she’ll be discharged soon to a skilled nursing facility. Her stay at Magee has been extended much longer than usual because of her spiking and plummeting blood pressure, a common side effect in SPI patients. She says it will be a bittersweet farewell to leave all the people there, who have become like family. It’s also given her an idea for a new show called Reality Rehab, guaranteed to make you laugh and cry! The addition of a bedroom and bathroom is well underway, thanks to many generous and good-hearted folks. Some have donated materials, some their equipment, some their skills and others their back-breaking labor.They face continuing obstacles that have slowed progress, completion is still weeks away. There’s a long list of special equipment which will be necessary for Libby’s care, for example a motorized lift, a shower chair, a special bed, etc., and much of this has already been ordered. As you can imagine, she’s tremendously excited about the idea of going home, and that day can’t come fast enough. In the meantime, five days a week Libby’s schedule consists of physical and occupational therapy in the morning and afternoon, with recreational therapy sometimes on the weekend. Recreational therapy has included some instructions on how she might drive a car some Very Distant day in the future. Very Distant for now. Recently started and very exciting is the electrical stimulation bike Libby’s begun using to build muscle. On alternating days for her arms and legs, electrodes are placed specifically on targeted muscles, causing them to fire. Libby brags that with her arms she rode 5.67 miles, and with her legs 4.4. She chuckles saying she pictures herself training for the Tour de France. The e-stim bike is another piece of equipment that’s been ordered now for home use, and she’s very enthusiastic about her progress and the hope it holds for her future. In July, the women at Waynesborough held a Ladies Tennis Member/Guest to benefit the HelpHOPELive fund in honor of Libby. Libby and Joe and the entire Judge family are hugely grateful to these wonderful friends and former teammates of Libby’s for their support. The donation from the event will go towards the purchase of some necessary equipment, already on order. Libby sends love and thanks to all for thinking of her, for prayers, phone calls, cards, gifts and donations. Your concern and faith in her have kept up her spirits. Libby’s accident on March 15th sparked an outpouring of love and support from her community. A deep love for Libby brought us to where we are today. The Graham Group pledged funding to Libby’s fundraising campaign with a challenge to the community. Huge thanks goes to The Graham Group for their financial commitment, time and energy. This tournament is the result of that challenge. There has been a contagious and inspirational wave of goodness in response to our event. Your gifts have been overwhelming. 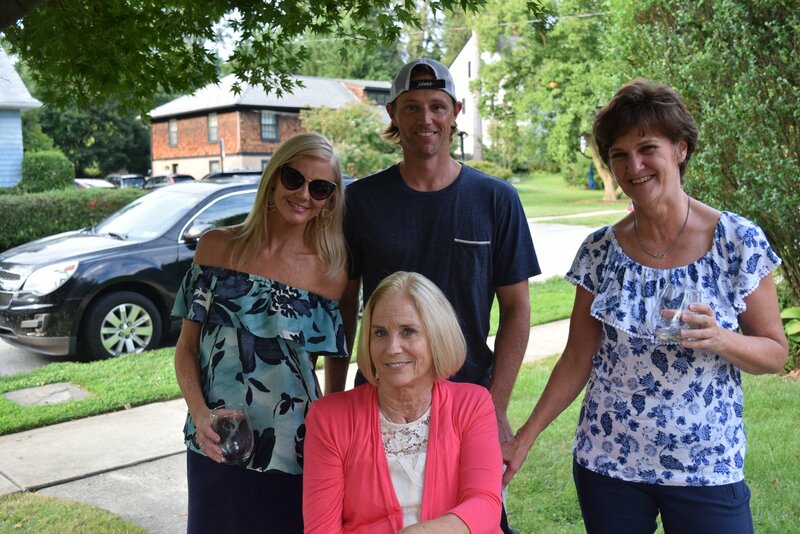 With less than a month away to the $50,000 Wayneborough Tennis Tournament, we are nearing our goal, but need your support today to get there for Libby. Every little bit helps — large or small donations gratefully accepted. Together, we can do this for our Libby!. Firstly, the June “Live it up Libby” fundraiser at the Great American Pub sold out and was a big success. Tremendous thanks to all who worked so hard and to the many hundreds who supported it! Secondly, warm thanks also to the 30 women who rallied to support Libby’s cause at the Waynesborough Ladies’ Tennis Member/Guest in July. And thirdly, thanks to the staff at HopeHELPLive for all their behind the scenes assistance. August 1st marked Libby’s fourth month at Magee Rehab on Race Street in Philadelphia. She feels very fortunate to be there for this length of time and to be receiving such wonderful medical care from her incredibly skilled and caring team of six doctors, numerous nurses, therapists, and nutritionists. Nowhere else would she get this level of care. She’s very much hoping to be there another month. Libby wants you to know that she’s made progress during her recovery, but not without some discouraging setbacks. She’s had to leave Magee for tests, procedures, and several surgeries at other hospitals, before being readmitted to Magee. Each time she’s readmitted, she’s very grateful and relieved to be back there benefiting from their expert care. Over the course of the last few months, her respirator and then her traec have been removed. She’s also been measured for her custom wheelchair, which hopefully will be delivered this month. Libby and Joe have been advised on all the medical equipment purchases that they eventually will have to make to help with her care once she returns home. Plans to add a hospital room and handicap accessable bathroom on their house proceed slowly, but are underway. You’ll be glad to know that through this long ordeal, Libby retains her trademark sense of humor. A recent visitor was heard to exclaim, “Libby, you look amazingly beautiful! 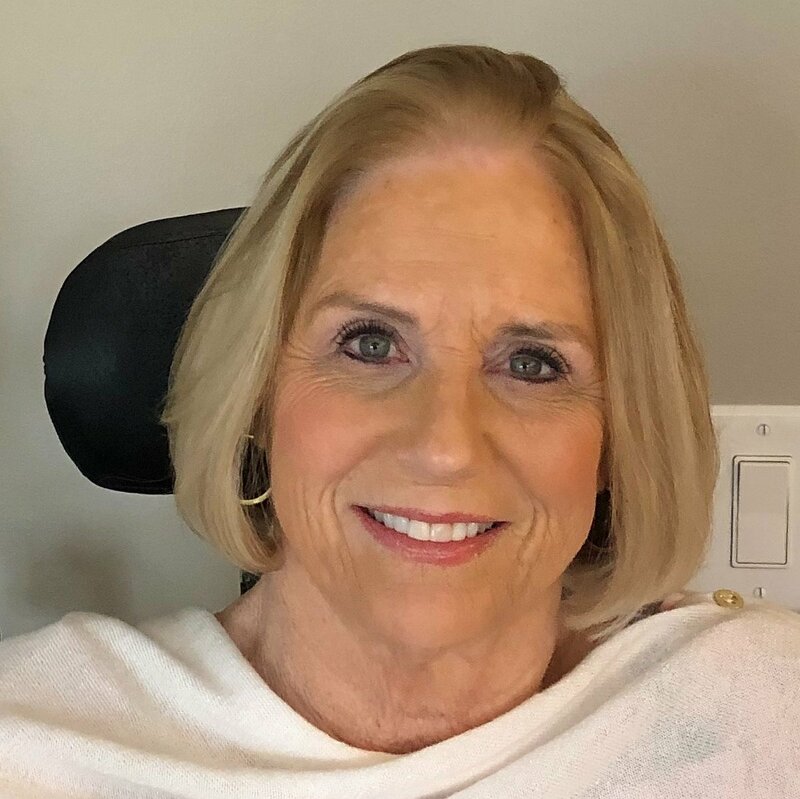 What’s your secret?” Without pause, Libby quipped, “bedrest.” Those of you who know her will not be surprised to learn that she has shown amazing grace during these many trying months. Libby’s daily routine consists of physical therapy in the morning for 1½ hours and occupational therapy in the afternoon for 1½ hours, with education classes incorporated throughout the sessions. These therapies are vital to her timely progress. Libby continues to fight on, but she’s had several serious setbacks that have interrupted her therapies. The first was her bedsore. We’ll spare you the details, but after many weeks of it not responding to treatment, Libby had flap surgery at Our Lady of Lourdes Hospital in Camden. Upon returning to Magee, the bedsore responded to six weeks of IV antibiotics, four weeks of complete bed rest, and Libby’s being turned very carefully every two hours so as not to tear the staples. Success, thank goodness! This sore would have taken two years to heal on its own. Libby is getting up to speed now and learning to adapt to the curves and bumps along the road, literally and metaphorically. A highlight of her time at Magee was her roadtrip outside the hospital. After strapping her into a wheelchair with meticulous care, her therapists took her out to negotiate the sidewalks, cross the streets and feel the uneven movement of her chair on the grass. While out, Libby was thrilled to buy a cup of coffee at a corner café. And she talked hopefully of a day in the future when she would wheel herself across a field to watch her grandsons play ball. Libby’s therapies have recently been interrupted again as she now battles extreme and frightening fluctuations in her blood pressure, and body temperature, called autonomic dysreflexia. This condition is defined in the Paralysis Resource Guide as “a potentially dangerous reaction that includes high blood pressure, sweating, chills, headache, which may occur in persons with Spinal Cord Injury (SCI) above the 6th thoracic level (T6).” These episodes, besides being scary, are restrictive, debilitating, discouraging and disruptive when they interfere with her therapy. She’s anxious to make every moment at Magee count and take every advantage of being there. Libby thanks everyone for his/her support, kindness, cards, gifts and messages. Each of you contribute to her faith and hope in a happy future. Please keep her in your prayers. Mom’s “flap” surgery got moved up to May 22nd, instead of May 29th as originally scheduled. All good! Hello! Mom is doing well. The surgery on her wound on May 1 went well, they removed all dead tissue. They are taking care of the wound to keep it clean and healthy. She will get a 2nd surgery on her wound, a “flap” surgery, on May 29. They basically take healthy tissue and muscle and place it in the wound to help with healing. The nurse mentioned she will likely have to stay in bed for about 6-8 weeks for the healing to take place– which will be a challenge to say the least. Her spirits are up, she is doing her best every day. Rehab takes a lot out of her, but she enjoys her sessions and is working hard. She loves all of your cards filling her in on what’s going on outside of Magee! They keep her in the loop. Thanks for your continued support. You are all a big part of her recovery. Hope to see many of you on June 6th at her Live it Up! event! All: If you plan to attend Live it Up on June 6th, which we really hope you do, we ask that you please purchase tickets online in ADVANCE of the event. Thank you! DETAILS TO COME & REGISTRATION TO OPEN NEXT WEEK! Surgery got moved again to May 1. The infection is in the bone. She is on medications to help rid the infection. Mom’s surgery got moved to Tuesday of next week when the hospital has vacancy. Hope everyone had a very Happy Easter. There has been no change in the status of her paralysis. She has been upgraded to an electric wheelchair and can get around a little bit more within Magee. She is on a regular house diet now, she can eat and drink normally again. She has not been on the ventilator in weeks. Her trach will be removed in the near future (timing TBD, maybe week(s)?). She needs to get strong enough to cough on her own, then they can remove it. She has a concerning pressure ulcer (bed sore). The doctors have been monitoring this sore closely. It’s now very deep and at the bone. They will perform surgery this week. This is certainly another bump in the road and very discouraging. The OTs & PTs spend a lot of time stretching her body and working on her upper body balance. She is limited on certain things due to the severity and position of her pressure ulcer. The OTs are teaching her ways on how to use her phone, iPad, etc. This is a very slow recovery process. She loves the docs and nurses – everyone is great and has a positive attitude. Many of you may have questions about the fundraiser and HelpHOPELive.org in general. If you need specific information about the fundraising campaign we set up to help cover Mom’s uninsured medical expenses, please let me know and I likely have paperwork to provide. Thank you all for continue to care, love and pray. It was so wonderful seeing you yesterday at Paddle. You are such an inspiration and great example of faith, your spirit has never shined brighter. Hi Libby, I have reached out to all our fellow Great Valley (& East Whiteland) Swim/Dive Team Members to support you through this site and Mary "Ducky" Ditton's fundraiser later this year. 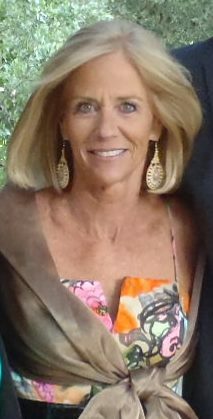 Hi Libby, Since Lois Eagan told me about your accident I have been holding you in prayer, carrying you in my heart. May you embrace the abundance of God's love and allow it to burrow into the inner landscape of your life. I send much love and peace your way. Recently I made a pilgrimage from Notre Dame in Paris to Notre Dame in Chartres, walking for you and several others. Had the privilege of attending a jewelry event in your neighborhood,my husband, Steve and I look forward to sharing the evening with you and your family on the 19th. I have been keeping abreast of how you are doing through Anita. Julie Berlacher, my dearest friend, sends her love. My design career is ending, thinking I could help you in some way this autumn. I live in Brampton Chase, very close to you. We are away for the summer. Blessings and hugs! dear libby, you are always in my thoughts and prayers please stay strong you are so loved. Hey Libby - Magee is proud to be on your team ! Hi Libby, Hoping you are home by now. Ran into Joe I hope he sent my regards. You are in thoughts and prayers ! We would love to have an update on Libby! We are hoping she is now home. Hi Libby, Joe and family! We've been thinking about you all quite a bit lately. After reading the update from Sept.12, we are so happy that you have so much support from your community and family. It sounds like everything is moving in a positive direction! That is so good to hear!! And it was so good to hear that you, Libby, haven't lost your sense of humor during your recovery and all the hard work that it requires! You all are in our prayers daily and we all know that prayers are answered. God bless the Judge Family! We love you all! Hi Libby, I just heard about your accident yesterday from Laurie Hissey at Radley. I am so sorry about what you have been going through. Even though I haven't seen you in several years, I still remember how friendly and beautiful you always were when we would occasionally meet up in the contract time at Brandywine. I am planning to be at the tennis event this weekend. Please know that I am thinking of you and wishing you the very best. Dear Lib - I think of you so often, and you are always in my prayers. Dona has kept me updated on your progress, and today I spoke to Susan Barnes about how you are doing. Stay strong, and I so look forward to seeing you when the time is right. I'm also looking forward to the Waynesborough event. Love you! Hi Libby, Thinking of you, still from Avalon. I know how you loved it here, and know that you will get back one day. It's a very therapeutic place! Caroline's latest update was so good...continue to stay strong. Hello Libby, you don't know me but I work with your daughter. Carolyn is one of the most lovely individuals I've ever encountered. She's fallible (who among us isn't?) but I would absolutely count on her when the chips are down. I have a 13-year-old son (he's darn near perfect ... just enough mischievousness to keep him from being creepy! ), so I know what it takes to raise a caring, thoughtful, intelligent person so I wanted to congratulate you. She is poised beyond her years, fiercly loyal, funny, passionate and independent, loving and loved. Exactly what I think you may have asked for if you'd been asked. She loves you very much ... but I'm sure you already know that. ;-) Take care and know that you carry the best wishes of many SAP'ers. Libby, I hope to have a great turnout at my Jewelry Open House in Hersheys Mill Estates, to honor your medical fund!! It will be held July 23 and 24 at my home, from 4:00 to 7:30. 30% of sales will be dedicated to your medical expenses through HelpHOPELive. I think of you every day and pray for your smooth recovery. I live at 1536 Tanglewood Drive. Thank you!! Dear Libby, You are beautiful and kind! Accidents happen, but so do miracles. Thinking of you and wishing the very best. Hi Libby, We had an amazing time at the fundraiser and enjoyed seeing so many old friends from st monica's! Your family did a great job organizing. I think of you everyday. Keep working hard. Love to you. Hey Libby, It's Laura. My prayers and thoughts are with you and your family. I just found out. I feel totally gutted. I know what a strong woman you are and we have had many talks. God is with you. I am at a loss for words. I love you Libby and wish you all the best. You saved my life once, remember? Dear Libby, I have been thinking of you constantly, and so admire your strength and courage through this horrible ordeal. I remember just a year ago so enjoying sitting next to you at a PCC member-guest lunch, getting to know you a little better, and thinking how you share so many of Carol's fabulous qualities. I wish you the best and hope you are buoyed by all the love and support in your court. Dear Libby-- You are always in our thoughts & prayers, and we know you are Fighting to get well-- we are too with you! God Bless You, and Christie, and all the family. Love you. Dear Libby, I was so sorry to hear about your accident......my thoughts and prayers are with you for a strong recovery. It is so nice to see all the support you have from your family and friends ..and I am sure that gives you great comfort and strength !!! My best wishes to you and your family ! Dear Libby, You have been in my thoughts and prayers since March 15. I am so very sorry. I was going to come to the event at Great American Pub tonight, but am disappointed to see that it has sold out and I can't purchase a ticket. I hope you take comfort in knowing how many friends and supporters you have. So sorry that I will not be there tonight. Hugs to you, Joe and your beautiful family. Libby and family, You are constantly in our thoughts and prayers. We have just learned about your accident and were saddened to hear the extent of your injuries. Libby, please know that you and your family are in our thoughts and prayers. Our prayers and hope for recovery and peace go to the Judge and Way families. Libby, what a beautiful soul to honor. Libby hope you are coming along well and know how many people are praying for you!! So glad to hear that things are progressing, even if it is slowly. Thanks so much, Carolyn, for sharing information with us all. Libby, I think about you every day! So many memories of raising our kids! All the fun they had, and yes, all the fights, too! But it all just made our families better friends! Your strength and positive spirit are going to get you through this! We will continue to send our prayers! Love to you and the whole family, Stevie & Dave Andrew. PS- Ryan & JP send their best to you also! Thanks for sharing the lovely photos. How did I know you would still be smiling even after such a difficult time? You are as beautiful as ever! Sorry Bob and I will miss your event since we will be far away but close in spirit. We think of you everyday and wish you only the best for the future and your recovery. Hi Libby, I just heard about your accident and am praying for continued healing each day. You have always been a kind and gracious person on and off the court. Be encouraged,God is a miracle worker and works miracles everyday! Hi Libby and family -- I am grudgingly going to have to miss the par-tay on June 6 as I am out of town that week, but I think about all of you every single day. I'm so happy to see that the surgeries and rehab have been going well, and I hope the Benefit event is a huge success! I'll be there in spirit!! In other news, as I'm sure you've heard, La Salle got a new volleyball coach, so I assume the team will be among the ranks of Penn State shortly. Take care! Not a day goes by that I don't think about you and pray for your strength and for your family. I recently heard this quote and thought of you…"God gives his greatest warriors, the hardest battles." Libby, our thoughts and prayers are with you. Sending you our love! Libby: Praying to St. Jude for you every day and wishing you the best. Libby- hoping that you are feeling better with each day and return home to your lovely family soon. Thoughts And prayers with you all! Libby, Hope you had a good day today. I am sending you healing thoughts. Hi Libby, I just NOW learned about the accident from Connie....Damn if that girl ain't always a day late and a dollar short! Happy Mother's Day. You have been one tough, little momma ever since I first laid eyes on you--when Connie dragged me from CHC to a small, suburban hospital to meet you and newborn Christy..... Sending love and prayers your way. Wishing you all the positive energy that you always give to others. Libby - The Daly Family are all pulling for you - our prayers will keep coming for your recovery! Libby, I was impressed by your strength and beauty when I met you at the Dining for Women event in Mt Airy. So glad that my cousin Patti brought you. You are a generous soul, and I wish you courage as you persevere through your recovery. My thoughts are with you, and your family. Dear Libby, our thoughts and prayers are with you daily. Hope you know not a day goes by that you are not thought about. With your courage and determination, you will win this battle one day at a time. I hope you are recovering quickly from your surgery. You are in my thoughts and prayers continuously. Libby, Greg and I think about you daily and hope your surgery went well this week. Our prayer group prayed for your comfort and successful surgery. May your healing be comfortable and progressive, Libby. Libby, Lisa and I are in your corner and with Prayer, Hope and Hard work you shall continue your journey and recovery. Always remember that you and Joe and your entire clan are in our hearts, our prayers and thoughts. Please tell Joe to call or text me if there is anything we can do, we are always there for you and Joe. Hi Libby, we appreciate seeing the photos Carolyn posted on this site showing your beautiful smile in the midst of your strenuous rehab. Hope your surgery helps you feel better and more comfortable. We think of you daily and continue to send prayers your way. We played your team today and I thought of you throughout our match and the last few days when I heard about your accident. Use your competitive nature to fight through setbacks, rejoice in every win along the long road of recovery and remember you are not alone....so many people are praying for you; many who have never met you and God answers prayers! Be careful with that speedy wheelchair. Do you have a license for that? Thinking about you quite a bit.....keep on working. we also are praying. God works in mysterious ways. God Bless . Hey Libby, I have been away and it is good to come back to hear you are upgraded to electric wheelchair and can eat and drink now. I am sure you are working really hard to have made so much progress. I will be thinking about you on May 1st and can't wait to be able to talk to you. To Libby and the Judge family ~ we wish you all the best for a speedy recovery. You are in our thoughts and prayers. Team Judge - Stay strong. We are thinking of your Tennis and Recreation friends are thinking about you here at The Reef. LIBBY, Thinking of you, and your family everyday.Sending you lots of prayers and love your way. Keep fighting , stay strong, and most of all stay positive.